Book 3 in the Pretty Little Liars series is titled, “Perfect,” but the lives of the blackmailed foursome are anything but. The ex best friends of Rosewood Day seemed to have it all until someone knew the secrets they’ve wanted to keep hidden. Is one of them murder? What I loved about Perfect is that it is very different from Pretty Little Liars. Yes, there were some incidents that also happened in the show, but they were altered. One of the biggest changes is that Hannah, Aria, Spencer, and Emily still haven’t renewed their friendship. In the books the tests from “A” forced the girls to work together, thus renewing their relationship. In the book this hasn’t been the case. Another thing I am enjoying is how much darker the book is from the show. The parents are even more unlikable. The problems even more real. Now that the girls’ lives are seemingly destroyed, where do they go from here? Guess I’ll find out when I read book 4, “Unbelievable.” Since I just got on the waitlist for Unbelievable, I’ll read one of the 2 library books I was just emailed. 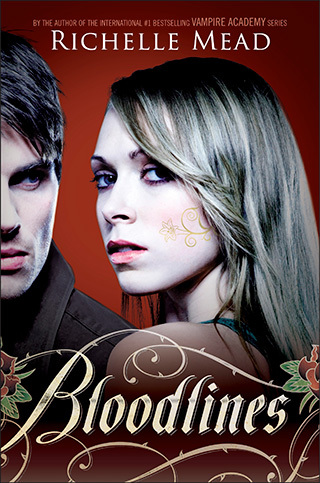 First up is Bloodlines by Richelle Mead. When Sydney is torn from her bed in the middle of the night, at first she thinks she’s still being punished for her complicated alliance with dhampir Rose Hathaway. But what unfolds is far worse. Jill Dragomir—the sister of Moroi Queen Lissa Dragomir—is in mortal danger, and the Moroi must send her into hiding. To avoid a civil war, Sydney is called upon to act as Jill’s guardian and protector, posing as her roommate in the unlikeliest of places—a human boarding school in Palm Springs, California. The last thing Sydney wants is to be accused of sympathizing with vampires. And now she has to live with one. Pretty Little Liars fans what did you think about Perfect? Are you glad that the book series is somewhat different from the television series? Let me know what you think. Sound off in the comments below!